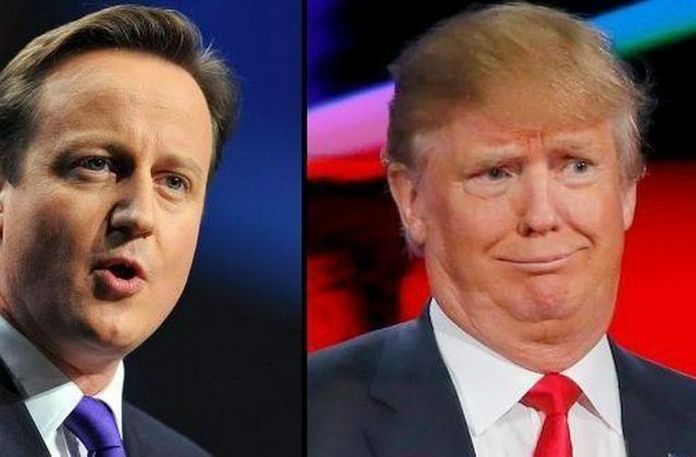 A foreign policy adviser to Donald Trump is asking for British Prime Minister David Cameron to apologize for his past “divisive, stupid and wrong” remarks, regarding the Republican presidential nominee in waiting. George Papadopoulos, a London-based adviser to Trump on Europe and the Middle East, told the Times it would be “wise” for the Prime Minister to “reach out” to the Republican front-runner. Papadopoulos revealed Trump is considering a European tour, but has yet to receive an official invite from the British government. “Of course if the United Kingdom extended an invitation it would be a tremendous show of unity and a wonderful spectacle,” he said. The aide’s comments come after Trump’s last remaining Republican opponent, Ted Cruz, bowed out of the race on Tuesday following his crushing defeat in the Indiana primary. 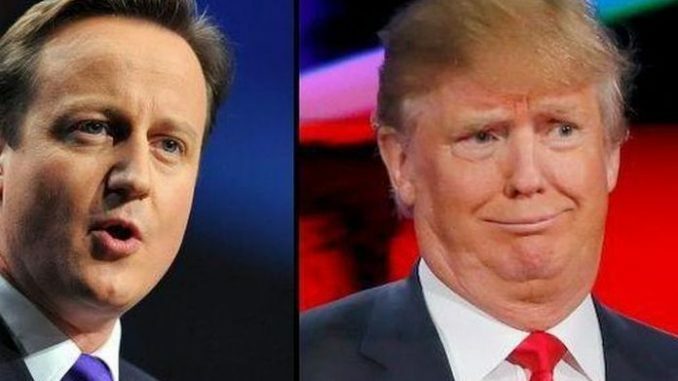 During President Barack Obama’s recent UK visit, Cameron said he would not “add or subtract” to his earlier remarks about Trump. “As a Prime Minister who has been through two general elections leading my party, you always look on at American elections in awe at the scale of the process and the length of the process and I marvel at anyone who’s left standing at the end of it,” he said at a news conference. Meanwhile Downing Street is quietly trying to mend fences with Trump’s team. It emerged last month that Britain’s ambassador to Washington Sir Kim Darroch has been told to cultivate relationships with Trump’s foreign advisors. A spokeswoman for the Prime Minister said the move is “part and parcel of what we do” ahead of a major election.